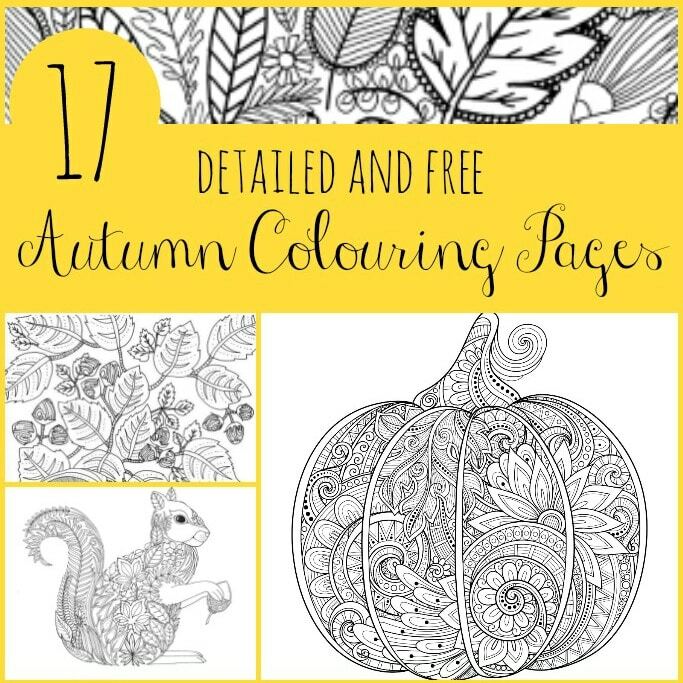 I love sharing colouring pages for adults and kids and with the change in seasons I thought it would be good to share some Autumn colouring pages with you guys! All of these pages are totally free for you to download so you can print them as many times as you like. 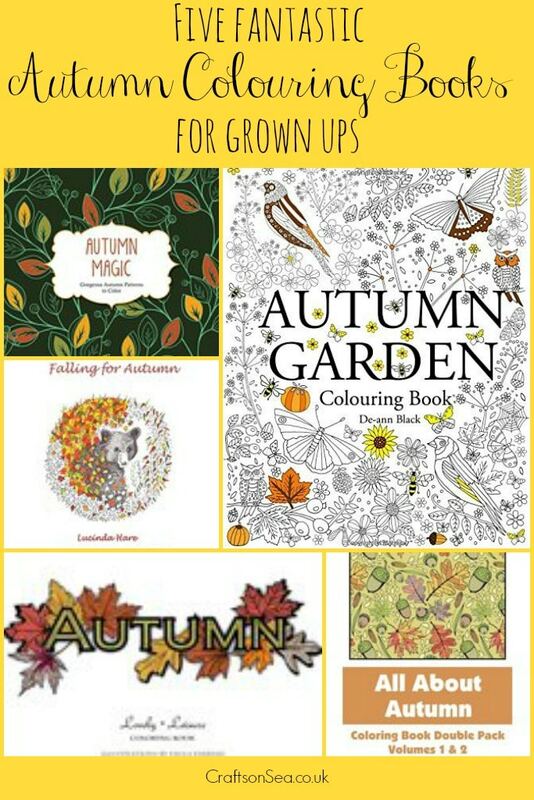 If you fancy treating yourself I’m also sharing my favourite autumn and fall themed colouring books and of course there’s a link to some of my other favourite freebies at the end – enjoy! These autumn themed bookmarks would be super cute to colour – I love the little rainbow! 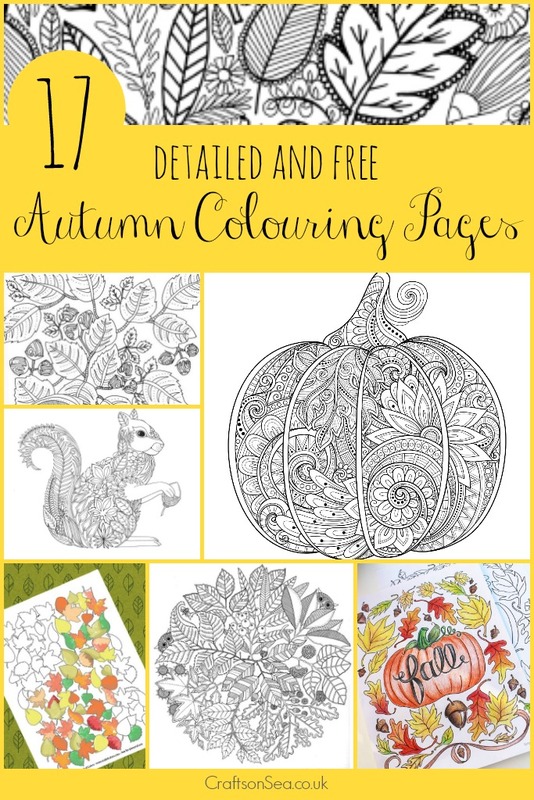 This pumpkin coloring page uses loads of different patterns and there’s a cute autumn leaves colouring sheet here too. Like these colouring pages? Make sure you check out my round up of detailed winter colouring pages which has 30 fantastic free designs for you to download! If you want to buy a colouring book or know someone who would appreciate one as a gift there are some gorgeous ones for sale at the moment so I’ve rounded these up for you as well. Personally I’m a huge fan of payday treats, or just a made it to the weekend treat as I’m pretty sure I’ve normally earnt it! You might also like my round up of 20 free autumn printables too! What a super round up. I have one in the bag too, with nearly all the same page! I will make sure I link to yours! Thank you so much for all of these amazing colouring pages. I appreciate the time and effort you put in to making these available for us. Thanks also for keeping me on your mailing list. What a wonderful round up! I just pinned this post on my ‘coloring book’ picks board 😉 I offer printable coloring books & pages in my Etsy shop, and would love to offer a complimentary one to your readers if you’d be interested! Happy Fall!